If you have a pet who likes to romp around your garden, don’t plant anything that might be toxic to them such as azaleas and Jimson weed. Spring is here, and as the days grow warmer and longer, we’ll be in the yard more, putting in new plants and caring for the ones we already have. You may think that pets and gardens don’t mix, but we’re here to tell you they can — done right. 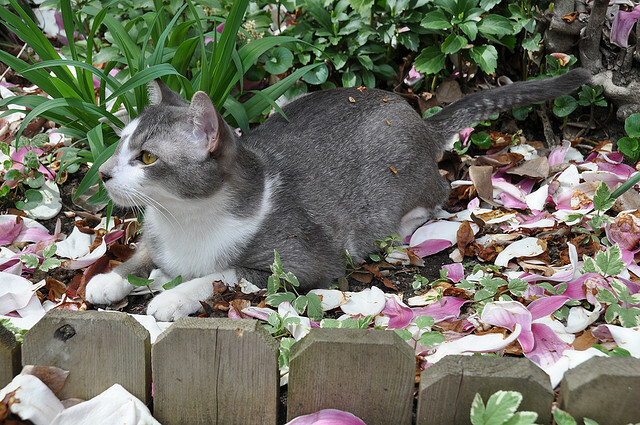 Here’s some expert advice on how to create a pet-safe garden. Unfortunately, many of America’s favorite garden ornamentals can have deadly consequences for your pet. As you’re planning this year’s garden, take a look around and make sure you don’t have one of these common garden plants that could kill your pet. If you do have these in your garden, pull these toxic plants out and transplant them to an area of your garden that’s off-limits to your pets. Oleander is one of the most toxic garden plants. This large, lush bush is ubiquitous in the Southwest. All parts of the oleander plant can be fatal if ingested — not only to your pets, but also to your family. 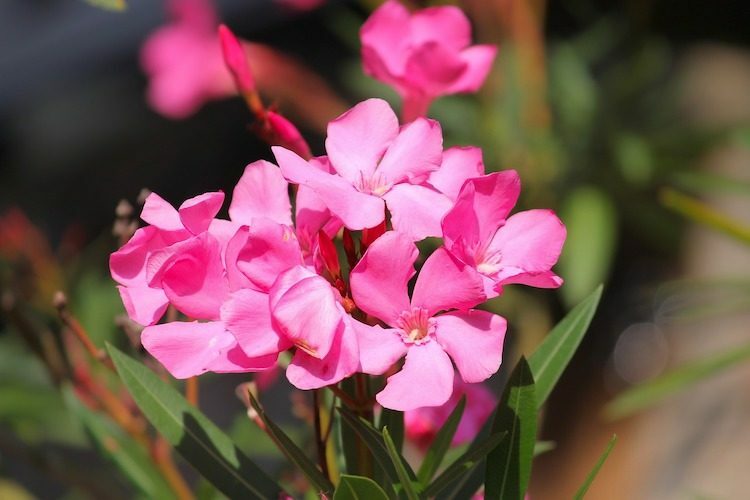 “Many pet parents don’t realize how deadly the oleander plant can be if ingested by humans, dogs, cats, birds, horses, cows and other animals,” says Dr. Karen Becker, DVM. “The plant only grows in certain regions of the U.S. and isn’t especially attractive to animals, which is probably why many people are unaware of the danger it poses,” she says. Another common bush ornamental is lantana. It’s sometimes called red sage or wild sage. The beauty of this tree makes it a perennial favorite in warm climates throughout the country. 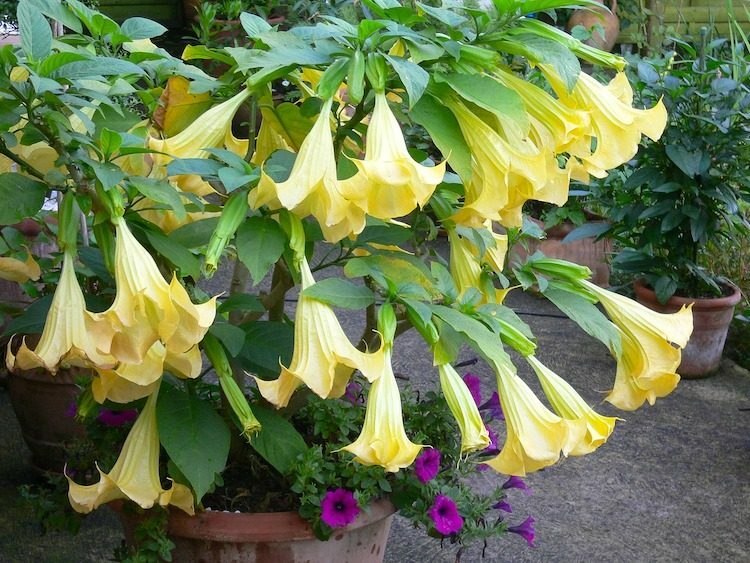 Angel’s trumpets may be gorgeous and smell heavenly, but they are extremely toxic — all parts can be fatal if ingested. In humans, “most poisoning results from the consumption of a tea made from the seeds either for its alleged medicinal benefits or for its hallucinogenic effects,” notes The Poison Garden website. Azaleas are a species of Rhododendron. These shrubs explode with flowers from January until the first heat of summer. 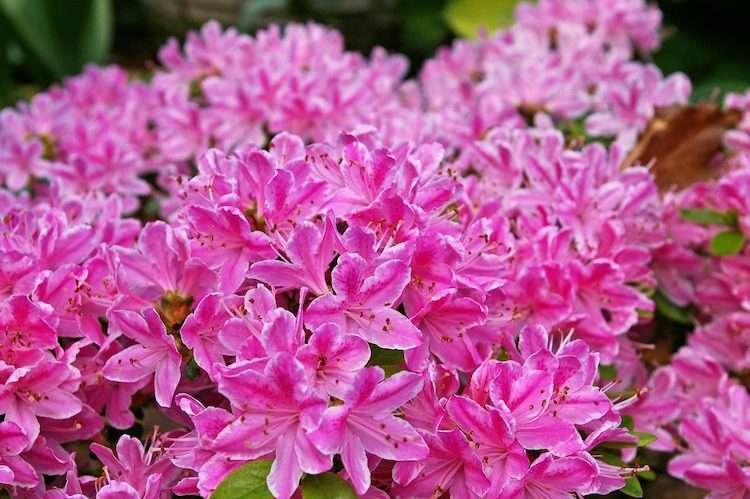 Azalea toxicity in dogs and cats can vary drastically depending on the plant, according to the Pet Poison Helpline. 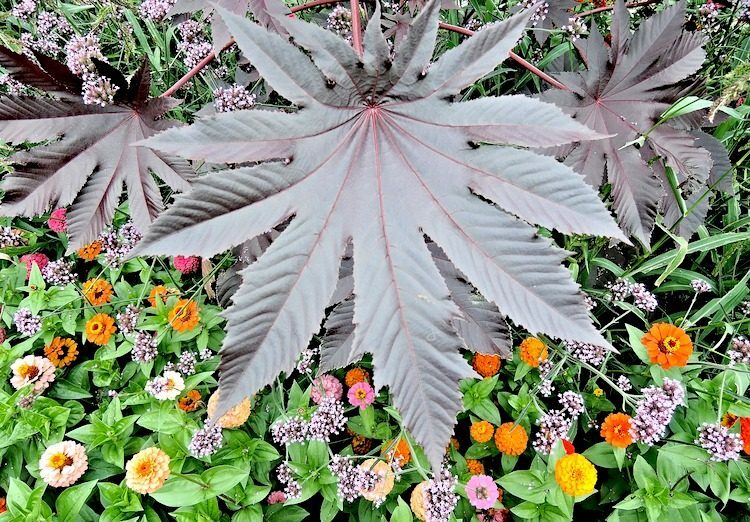 This one goes by many names: castor bean, castor oil plant, mole bean plant, African wonder tree. A shrub called “Yesterday, Today and Tomorrow,” or Brunfelsia, is being pushed by nurseries, but this shrub is also toxic to pets. According to research reported in the Journal of the American Animal Hospital Association, Brunfeslia can cause “strychnine-like” symptoms in dogs and is potentially lethal. 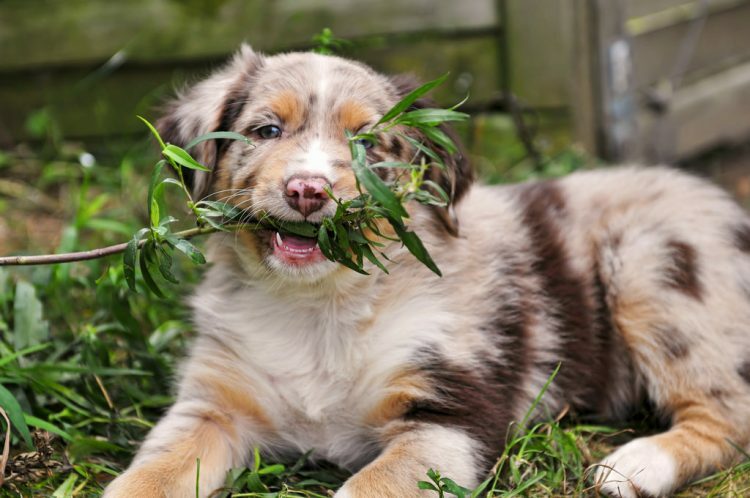 Remove any flora that could potentially harm your pets. Move these plants to a different area of your yard, give them to your plant-loving neighbors or add them to your compost pile. For a complete list of dangerous plants for cats and dogs, check out the ASPCA’s guide to toxic and nontoxic plants. This year, while you’re getting your green on, make sure your garden is not only beautiful but also safe for your pets. 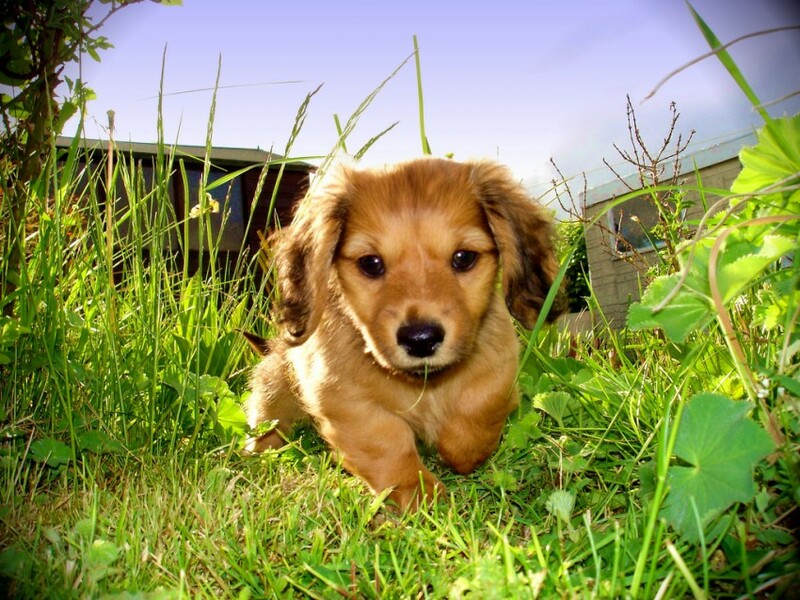 Here’s some more advice to help you plant a pet-safe garden. Avoid plants with sharp spines or lots of thorns to prevent eye or piercing injuries. Even if your dog doesn’t know it yet, your dog loves vegetables, especially organic produce pulled right from the garden. Do not give your pet onions, garlic, leeks or a lot of tomatoes, though — these can all make pets sick. The chemicals and additives in commercial fertilizers and pesticides are just as bad for your pets as they are for you. What’s more, dogs often enjoy the taste of soil or mulch mixed with commercial fertilizer, so they snack on it and promptly get sick. Likewise, it can be fatal when pets ingest chemical pesticides, so keep them out of your yard. Instead of commercial fertilizers, use organic compost, mulch, fertilizers and soil amendments to improve your yield. Most of the commercial products are pet-safe, but read the label carefully to make sure. Your pets shouldn’t have access to certain areas of your yard, such as the tool or potting sheds, the pool or any exits that lead to the street. Invest in a sturdy fence that will keep your pets out of areas where they could harm themselves. Make sure your family members and any service people who enter your yard understand that your pets will run into the street if they leave the gate open. Put locks on the gates and shed doors, and use them every time you go in and out. You may have certain areas that you prefer your dogs to stay out of. Around these areas, place things like driftwood or rocks to create an appealing border. You can also purchase different types of border walls to place around vegetable gardens or other areas your pet should not access. The trick to getting these areas to work for you and your dog is simple: training. “It surprises some dog owners to know that their dog can show as much respect for outdoor living spaces as they do for your indoor ones,” says Cheryl S. Smith in Dog Friendly Gardens: Garden Friendly Dogs. A little time and a lot of patience will go a long way toward saving your off-limits garden areas. Never use poison for pest control. If you use insect baits, make sure your pets cannot get to them. The sweetness of the poison is just as appealing to your dog or cat as it is for the insects it was designed to kill. We have our bathrooms, so why not include one in your garden for your dog? Not only will this simplify yard cleanup, but it will also help ensure your dog doesn’t “go” in hard-to-reach spots like densely planted areas, and it will spare your lawn from “burned” areas caused by urine. Even better, this type of training falls under regular house-training and can be done with dogs of any age except very young puppies (who probably won’t be going outside much anyway). Be aware that some dogs learn faster than others, so be patient with your dog if it’s taking them a while to get the message. With consistency and patience, they’ll get it. So many dogs love to dig, but it wreaks havoc on our gardens. For many breeds, digging is just something they do, and it’s much easier for us to redirect it than trying to stop it altogether. You can solve this by adding a special place in your garden just for your dog to dig in and then training them to dig only in this space. “How big it is depends on how much space you can spare, but if possible, dimensions that are twice as long as your dog in width and length will give him plenty of room,” says Bush. You won’t need to top your pet’s pit with anything fancy. Regular soil will do, and Bush advises staying away from sand, as sometimes ingestion will cause stomach upset, as well as chemically treated composts. It will be even more fun for your dog if you bury treats and toys for them to find — they’ll never want to leave the pit! What if the problem is that you want to keep certain animals out of your garden? This section is for you. Stray or outdoor cats may howl at night, hang around your house or use your garden as a litter box. Depending on how many cats are in your area and how often they stop by to deliver a present, the odor can become unbearable. Fortunately, a few methods available to help. Opinions differ on the most effective methods, and there are conflicts about the use of harsh cat deterrents (such as cayenne powder). Read the suggestions below and see which might work the best for you. Adding these plants to your garden may help deter the cats. Essential oils can also provide a deterring effect to cats. Peels from lemons or oranges placed around the home or garden will give off a citrus scent disliked by cats. Citronella is also recommended as a deterrent. Use 1 part oil to 3 parts water. Use as a spray around the areas you want to prevent the cats from visiting. Use care and consideration with oils because if they are absorbed by a cat’s skin by either being sprayed directly onto the cat or ingested, illness or death can occur. It is for these reasons that we do not recommend soaking cotton balls in oils and placing them around the house. The same dangers exist for mothballs. Besides people complaining about the smell that some say is worse than the cat waste, the mothballs can be toxic to cats and other animals. Another idea to keep cats off the lawn or out of the garden is to use water as a deterrent. It doesn’t seem feasible to sit outside armed with a spray bottle all day and night, but automatic sprinklers that operate based on motion could do the trick. The startling function, sound and water spray should be surprising enough to run the cat away. Fencing options may depend on the area to be protected or your garden’s location. Fencing placed around the garden should be angled outward to prevent cats from climbing over it. Other options include burying chicken wire or lattice fencing just under the soil surface to prevent the digging cats do when eliminating waste. Other garden additions include pine cones, mulch or gravel. Cats don’t like the texture of these items when stepping on them, so placing them around gardens and plants may serve as an additional deterrent. Some products sold commercially claim to deter cats, but many are made for more than one type of animal. The products may come in the form of a spray or granules that you spread around the protected area. The effective agent in some mixes is essential oils, while others use the urine of predators, such as foxes or coyotes, to keep the cats away. Ultrasonic deterrent devices have shown some efficacy, and there are many types to choose from. If your problem involves cats howling or mating, consider contacting your local humane society about its trap-neuter-return program. Although procedures will vary depending on your location and humane society policies, an effective TNR program in my area allows you to rent cat trap rentals for a small fee. Once the cat is trapped, you bring the cat to the humane society and the animal is spayed or neutered. After a short recovery period, the cat is released to the same area. Some animal control or humane society offices may euthanize the animals instead, so ask for details about their procedures to ensure it is a fix-and-release program. In summary, there are many ways to create an outdoor space that is beautiful and pet-friendly. Creative bed and yard borders, a variety of nontoxic plants, consistent training and special pet-only areas combined will make your backyard a place both you and your pets can enjoy. Becker, Karen, DVM. 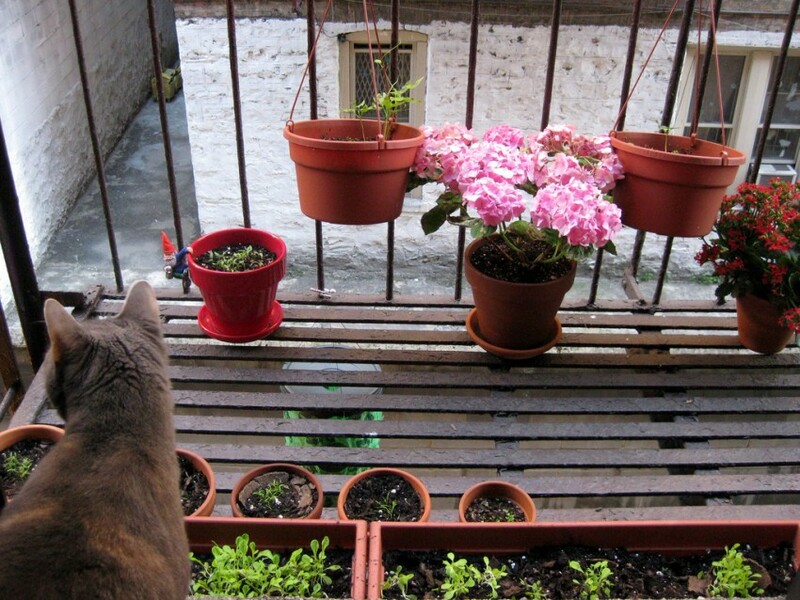 “Be Aware: This Popular Landscape Plant Can Kill Pets in Minutes.” Healthy Pets. Aug. 10, 2016. https://healthypets.mercola.com/sites/healthypets/archive/2016/08/10/oleander-poisoning.aspx. American Society for the Prevention of Cruelty to Animals (ASPCA). 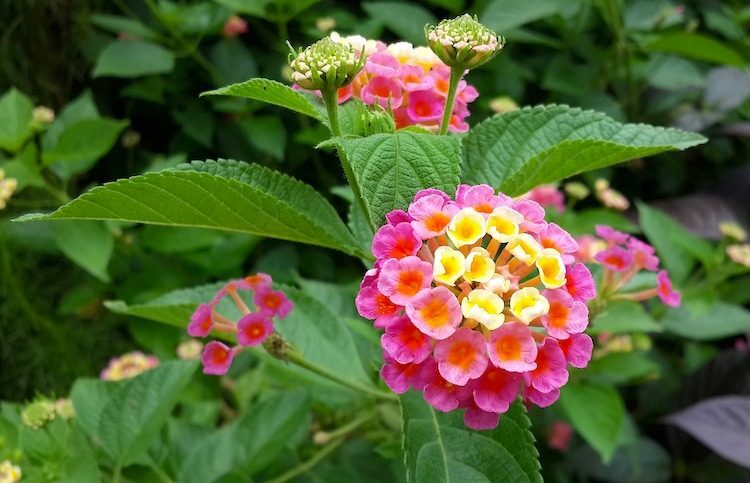 “Toxic and Non-Toxic Plants: Lantana.” https://www.aspca.org/pet-care/animal-poison-control/toxic-and-non-toxic-plants/lantana. Fletcher, Daniel J., DVM, PhD, DACVECC, and Lisa A. Murphy, VMD, DABT. In Small Animal Critical Care Medicine. Elsevier Health Sciences. Feb. 2008. 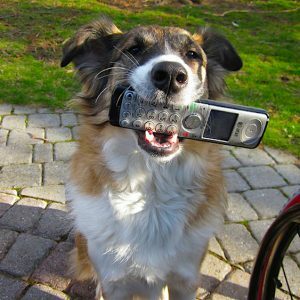 Pet Poison Helpline. 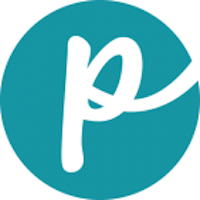 “Azalea.” https://www.petpoisonhelpline.com/poison/azalea/. Tostes, Raimundo. 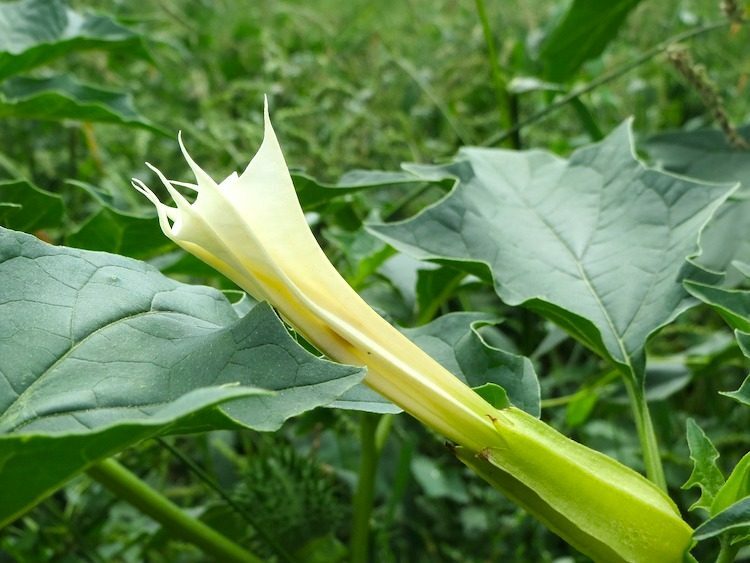 “Accidental Datura Stramonium Poisoning in a Dog.” Veterinary and Human Toxicology. March 2002. 44(1):33–4. ASPCA. “Toxic and Non-Toxic Plants: Castor Bean Plant.” https://www.aspca.org/pet-care/animal-poison-control/toxic-and-non-toxic-plants/castor-bean-plant. The Humane Society of the United States. “Plants Potentially Poisonous to Pets.” https://www.humanesociety.org/sites/default/files/docs/poisonous-plants-to-pets.pdf.